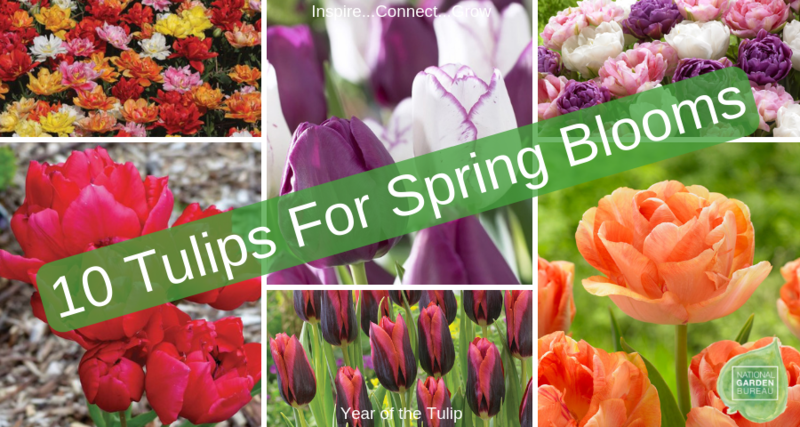 New Tulip Varieties for a Beautiful Spring! Planting new tulip varieties in the fall, forgetting about them over the winter, and then being amazed when they first start appearing is a time-honored tradition (at least in my house). This spring you will be thrilled and delighted when these new tulips start appearing in your yard! Adding some new tulip varieties with a few of the old standards will really give your spring season some extra spring! And with it being the Year of the Tulip, it’s never been a better time to add some tulips to your landscape. 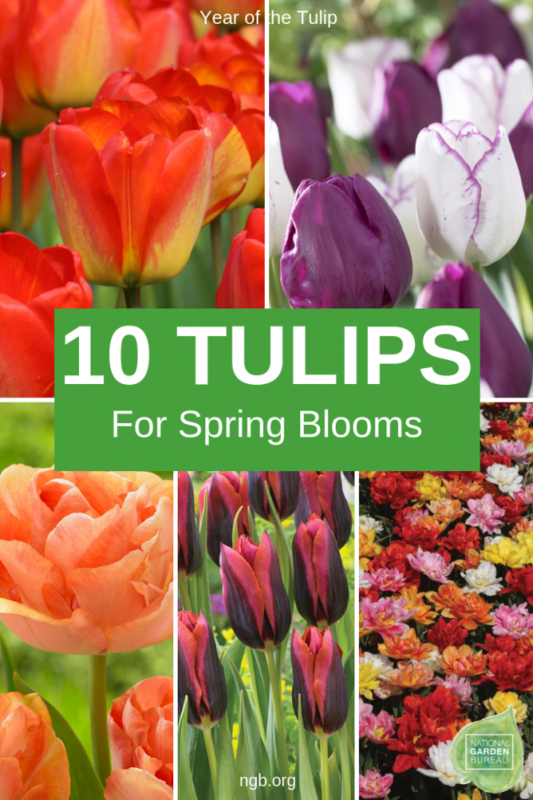 Try these 10 new tulip varieties from our NGB members and get ready for Spring! A late-blooming double tulip with apricot-peach petals. Charming Beauty’s compact height, peony-like flowers and late spring bloom time make it a great choice for perennial gardens. Looks stunning paired with purple and burgundy flowers. The Clusiana tulip is also called “the Lady Tulip”. Clusiana tulips belong to the category miniature tulips and are also called Wildflower tulips. Elegant tulips that bloom everywhere and the only tulips that are not eaten by deer and rodents. These tulips can also be planted in the warmer areas of the United States without a cold period. 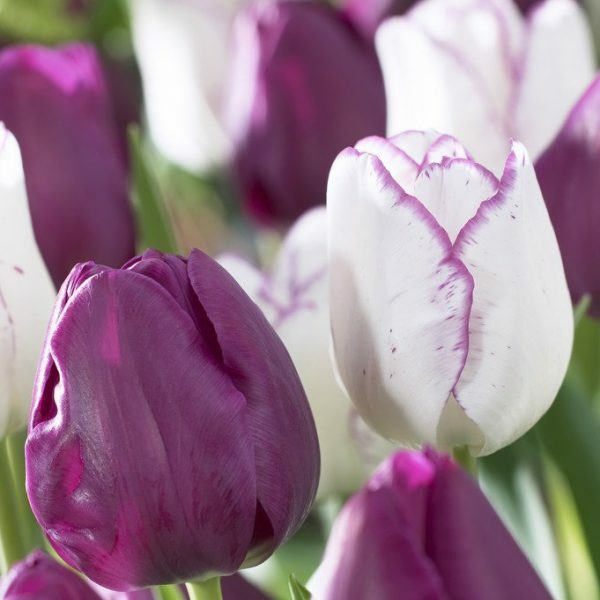 An elegant double late tulip with ivory flowers trimmed in lavender. The blossoms deepen in color as they mature, as the purple feathering spreads across the petals. A beautiful companion for other late tulips such as Blue Spectacle and Violet Beauty. Lovely in a vase with lilacs and bleeding heart. 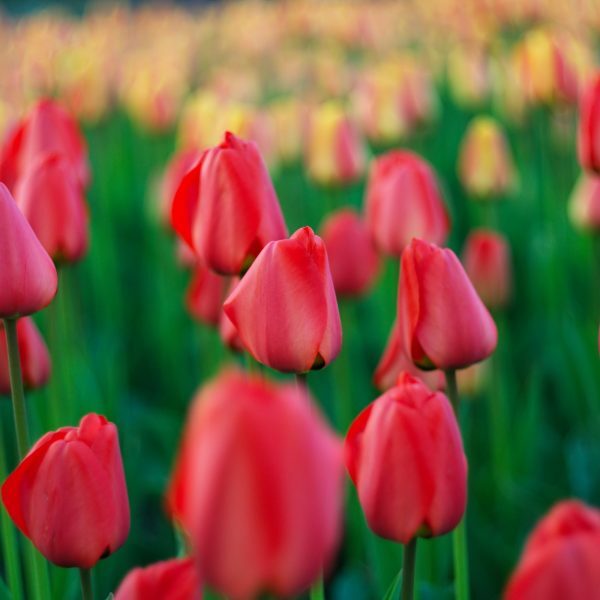 A bright red, multiflowered, double tulip with up to 5 flowers per stem. Excellent in containers. This cherry red tulip is huge. Long lasting 5-inch tall flowers! 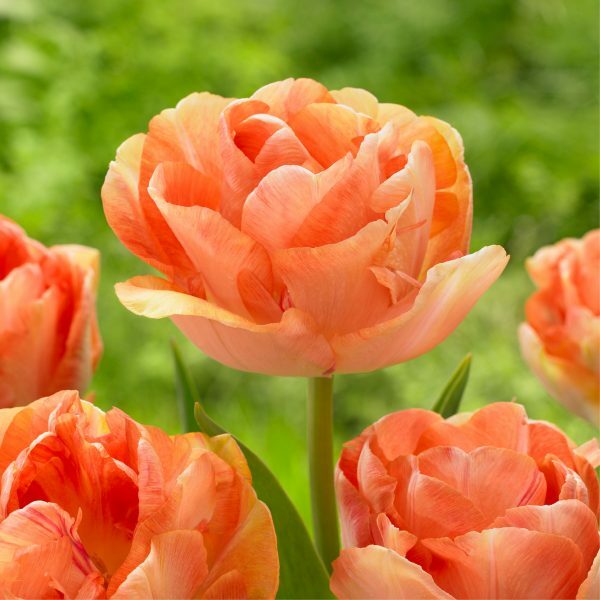 Darwin hybrid tulips are the strongest available on the market and they will return for years. 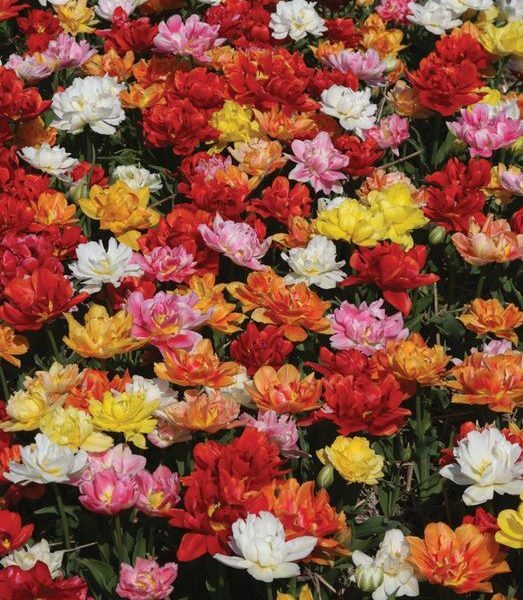 Tulip Murillo Mix is a show-stopping mix of red, yellow, white, pink, and orange. These are some of the earliest tulips to bloom. Great for forcing; perfect for in containers and the garden. 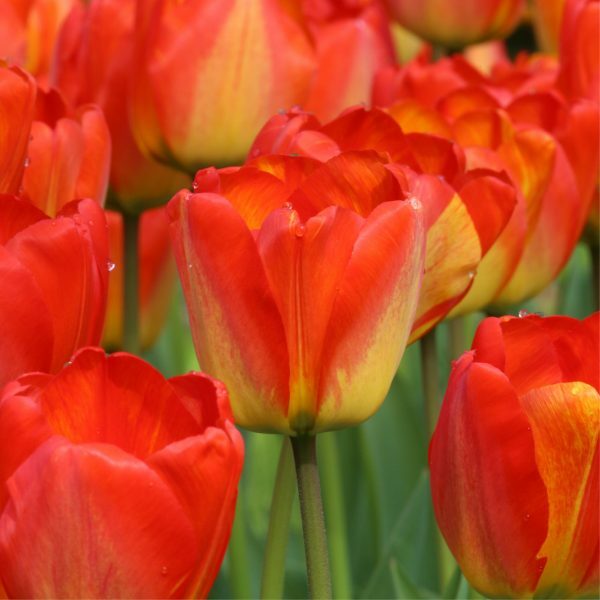 Electrify your spring garden with these brilliant, red-orange tulips. Orange Queen’s petals have a yellow base that makes the blossoms seem to glow in the sunshine. Like other Darwin Hybrid tulips, this is a mid-season bloomer with long-lasting, extra-large flowers. Dark purple blooms next to pure whites. 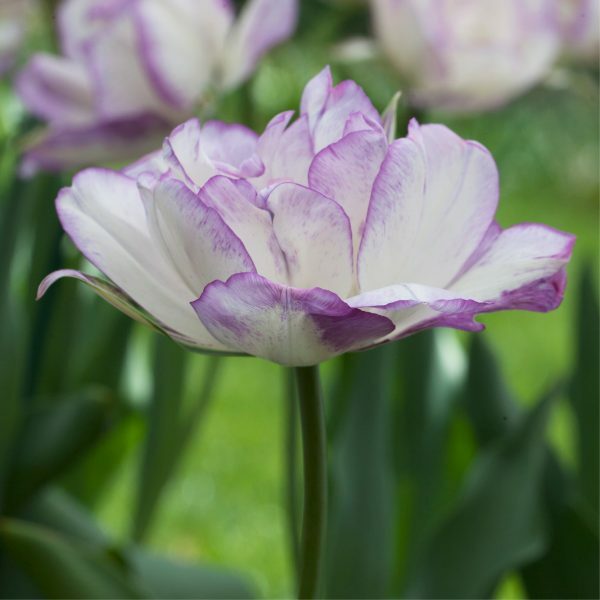 When they mature and get in full bloom the white tulip flowers get a very nice dark purple edge. This way the combination of tulips compliments one another as you have never seen before. 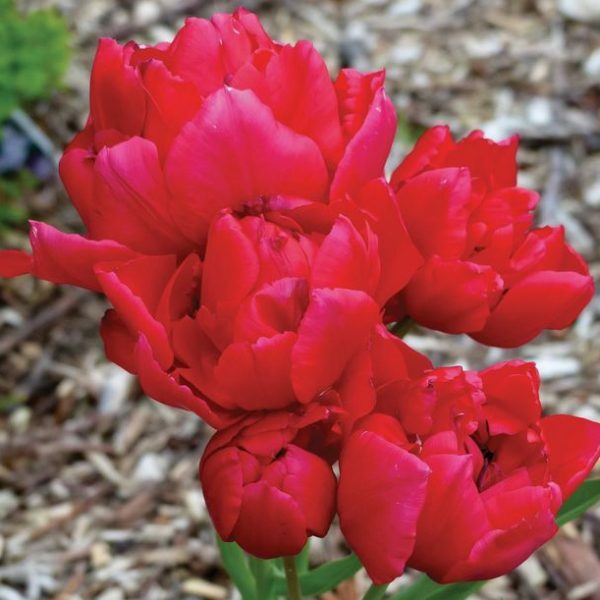 A bold color choice for the garden, Tulip Slawa, provides an amazing display of color. 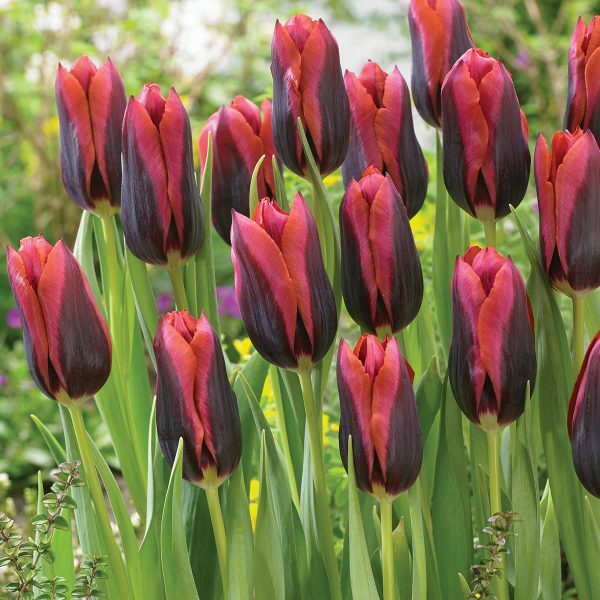 Its blooms have a rich burgundy-red hue with black on the outer petals. Orange streaks can lightly be seen bleeding into the tulip’s edges. It is perfect for beds, borders or cut flowers. A true showstopper, this variety will quickly become a lasting love for the garden or landscape. 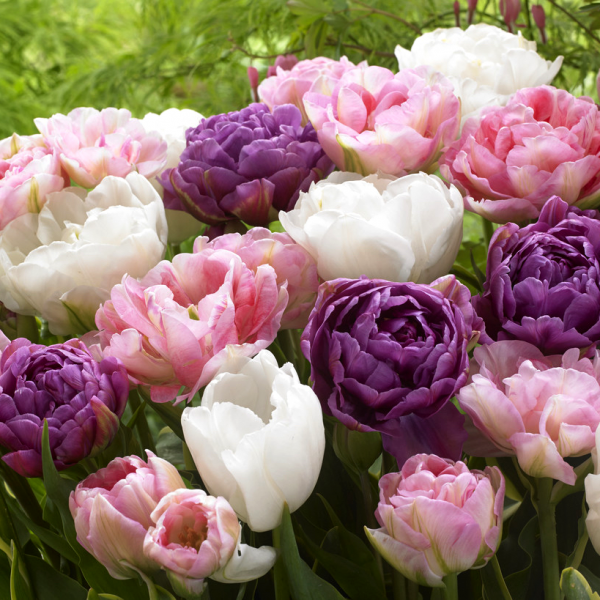 Tulip ‘Wedding Gift Collection’ is a fantastic mix of pastel pink, pure white and light purple peony tulips. These three beauties bloom at the same time and the double flowers will make a carpet of flowers in spring. Besides all the beauty they all carry a very nice fragrance. It’s like the perfect wedding gift.